Since the signing of the Iranian nuclear programme agreement by the US, Russia, China, France, Germany and Great Britain a new political situation has undeniably taken shape in the Middle East region. It is merely part of more extensive global changes evoked by the warming of the US’s relations with Iran and its distancing from Egypt, Saudi Arabia and Israel. Cairo has answered with concentrated efforts to improve relations with Moscow. Visits to Egypt by the Russian Minister of Foreign Affairs and the Minister of Defence, as well as discussions on the first purchases of Russian weapons in 40 years (amounting to 2 billion USD), attest to these efforts. It is very likely that Saudi Arabia, counting on improving its own relations with Russia, could become the sponsor of such a deal. The recent visit of the Israeli prime minister, Benjamin Netanyahu, to Moscow may be explained sooner by his desire to keep abreast of changes taking place in the region than by the continued hope of changing the Russian president’s mind on the issue of Iran’s atomic programme. The change of course in Barack Obama’s Middle East policy has resulted in the strengthening of Russian influence and the weakening of US regional opportunities. Moscow maintains its support of the Assad regime while, at the same time, developing new ties in the zone of current American influence. Israel is, in reality, not an essential problem for any government of the Middle East region: Iran opposes Saudi Arabia in the centuries-old battle of the Shiites and Sunnis for hegemony and the possession of Islamic shrines. Saudi Arabia is struggling with Turkey in an ideological war of political Islam – the Muslim Brotherhood vs. the Wahhabis. Turkey and Iran fiercely compete for regional leadership among the Muslim countries. Since its coup, Egypt is currently following in the footsteps of Saudi Arabia and recently announced that it will seek “legal means” to be allowed to declare the Muslim Brotherhood a terrorist organization in the near future. In turn, Turkey’s attempts to defend the interests of the Muslim Brotherhood have led to a rupture with Egypt, including the recall of ambassadors. The region between Turkey, Iran, Iraq and Syria – the area of the failed Kurdish state – could very well become yet another point of tension in the Middle East. The Turkish Prime Minister Erdogan has publicly supported the Iraqi Kurdish leader Masoud Barzani, effectively turning Northern Iraq into an independent state. Erdogan, for his part, is counting on receiving the support of Turkish Kurds in future elections while at the same time weakening the leaders of Syrian Kurdish parties who pose a threat to Turkish unity. It is unclear whether such a policy will succeed in winning Erdogan the expected support. But it will, in any case, guarantee him the hatred of the Kemalists, as well as the great irritation of Iran, Iraq and the Assad regime – of which the Kurdish separatists in Northern Syria and Southern Turkey are actually allies. Israel is not a part of this Arab-Muslim field. Neither Saudi Arabia, Turkey, nor even Iran – despite its militant rhetoric – is interested in risking their future in a war of annihilation on the Jewish state, nor are any of the remaining Middle Eastern countries. Even the Arabs of the West Bank and Gaza, who, as evidenced by sociological polls, are seeking any means necessary to relocate into Israel prefer to live under the “Zionist occupation” rather than the corrupt regime of Abu Mazen and Hamas, bent on imposing their religious fundamentalism. Fatah leaders, headed by Abu Mazen, think still less about the annihilation of Israel – the sole guarantor of their current position in the region. Israel is a necessity for all local players, first and foremost as an accumulation point for hatred. With this express purpose in mind these players form unions for battling the “Zionist enemy” and mobilize them en masse, planning, however, to use them in the future against real opponents. In actuality, virtually none of those fighting with Israel are really interested in its disappearance. If this were to happen the consolidated mass hatred would also disappear. Conflict between former partners would quickly arise. The only true opponent in this existential confrontation with Israel is Hamas, which dreams of building an Islamic state in place of the current Jewish one. This Islamic state would be part of the future caliphate, which would also include the Muslim Russian Caucasus. The Muslim Brotherhood, on the other hand, is willing to bide its time, knowing well that the geopolitical situation is clearly not in its favour. 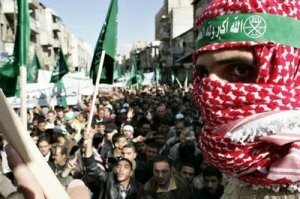 Those wishing, therefore, to destroy Israel are jihadist organizations lacking their own states, the full strength of their zeal being directed solely to ideological struggles. If Israel continues without exception to be a dominating force over all regional parties, especially in the military sense, then it is hardly likely that any of the Muslim countries, much less militant political groups, will try to earn points by attacking the Jewish state. Taking this into consideration, it would be extremely unlikely to find any institution in the region, whether government or military in structure, willing to attack Israel, despite the relentless fear mongering of the Israeli propaganda machine to the contrary. At the same time Israel can develop advantageous trade and economic relations with countries in the region interested in Israeli innovations. Israel will not, of course, share its military developments at the current time; in the extensive fields of medicine, biotechnology, water desalination and agriculture, however, Israel is quite capable of developing relationships and of reducing anti-Israeli sentiment in the pragmatic elites of Turkey, the Gulf countries (including Saudi Arabia), Egypt, and, in the future, possibly even Iran. Alexander Efimov, Ph.D., expert on Middle Eastern affairs, exclusively for the New Eastern Outlook online magazine.